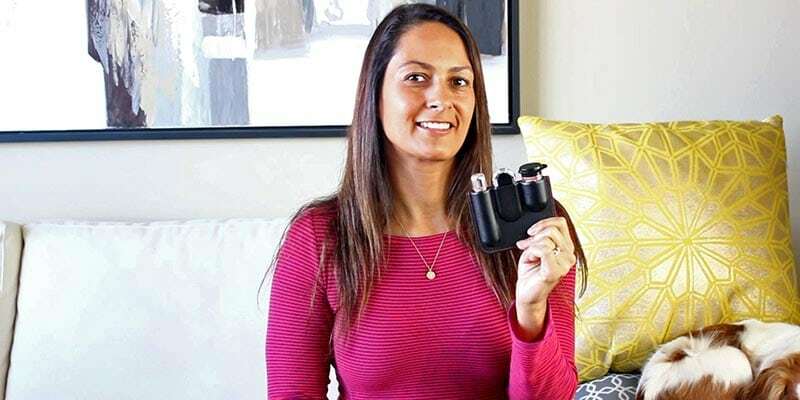 For most of us, a blood glucose (BG) meter is a basic part of our diabetes management and, let’s be honest, a commodity. If it works and the strips are affordable, we don’t really care what brand it is. Until now. Because the OneDrop BG meter is a game changer. It’s a game changer because it isn’t just a BG meter. 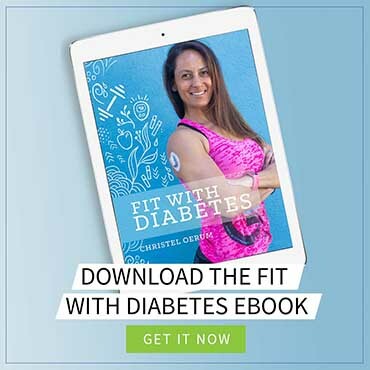 It’s also an app and online community, 24/7 CDE (Clinical Diabetes Educator) support, and unlimited test strips with their monthly subscription model. OneDrop was kind enough to send me a meter and 200 test strips so I could try it out. You can see my review in this video before reading about the details in my post below. The meter is small (2.75 in x 1.25 in x 0.5 in), but not too small to be practical. It’s also pretty, which shouldn’t matter but it does. I test my blood sugar up to 10 times daily, and I really don’t understand why most of my diabetes gear has to look like something from the eighties or just be plain ugly (except for my Myabetic gear of course). The lancing device, although beautifully designed like the rest of the gear, didn’t work that well for me for some reason. It seems like the depth of the lancets just isn’t right for me. But that’s also my only complaint about the hardware. The meter, test strips (yep, silver as well), and lancing device all sit neatly in a stylish (vegan) leather carrying case. OneDrop definitely has the design part nailed down. The OneDrop transfers BG readings to the app via Bluetooth. Love that! The app is neat because you can store all your data in one place. It can sync with your iPhone’s Healthkit so you can get your Dexcom data, your daily activity and even your meals consolidated in the app. I’m not a huge fan of the visual format (there are a lot of bubbles and, for me, it ends up being a bit of visual data overload), but I like that I can just scroll down below the visuals and see all my data in numeric format. What’s really innovative (at least to me) is the option of sharing your meals and BGs with others using the app. You can actually give your friends virtual high fives, which is a great idea. 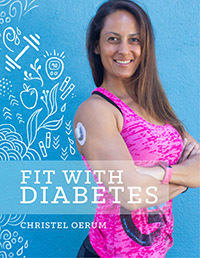 This feature is built around the notion that we should celebrate our diabetes management rather than always criticizing ourselves, something I fully support. If you have a question about your diabetes management, you can contact OneDrop’s CDEs through the app and they will try to help you out. It’s not at any extra cost – it’s part of the package. I haven’t tried it, but I think the idea of being able to text a CDE at any time could be super useful. They also have a 9-week on-track program that I imagine would be great if you are newly diagnosed or need a little extra support in getting back on track. OK, now let’s get down to business because all that stuff sounds expensive, right? Well, it’s actually surprisingly affordable. You get everything I’ve listed above plus UNLIMITED strips (yes you read that right) for a flat monthly fee of $39.95, or an annual fee of $399.95 ($33.33/month) if you prepay for a whole year. That’s what most people (in the US) pay per month in co-pay. You do also have to include the costs of the actual meter as well, though. The meter is $79.95 and, assuming a one-year lifetime, that’s an additional cost of $6.66/month. Still not bad, but it does mean that the upfront cost to start using the OneDrop can seem like a lot, especially if you have never had to buy a meter before (for some reason, either my insurance, my endo, or the meter companies have always given me free meters). At the end of the day, the financial calculation depends mainly on your insurance (if you live in the US) and how many test strips you use. For some, the OneDrop will be a great deal, while others may see it as a luxury option. In conclusion, I think the people behind OneDrop are onto something. Why should a meter be just a meter when it can be so much more, and why should I not be able to test as much as needed? The OneDrop is currently available in the US, the UK, and the EU, and will ship directly to your door. You can learn more and buy the meter on their website. If you enter the code DIABETESSTRONG, you will get 10% off your entire order. Previous Post: « How Many Calories and Carbs Are There in Different Types of Alcohol? The bubbles are not relevent to me. My old kit took less space and had storing space for alcoholic whipes and lancets. How do you carry this around? I just received my one drop and so far love it but my one question is what do you do with the lancets and why is there no pocket for those?? I have found that the meter has consistent problems with bluetooth connectivity. The meter also is dangerously inaccurate. I regularly get 20-40 differences in readings take right the other. I have had a variance of over 100 with what my CGM has stated well within the calibration period. This have caused several dangerous episodes of high or low blood sugars because I have trusted what the meter reads. I have much better luck with a cheap Walmart meter when calibrating my CGM. This product is not safe to use. I’m so sorry to hear that! I didn’t have that experience when testing the product. I hope you reached out to them and let them know your concerns and experience. > I’m not a huge fan of the visual format (there are a lot of bubbles and, for me, it ends up being a bit of visual data overload), but I like that I can just scroll down below the visuals and see all my data in numeric format. I mentioned my issues with the format of the graph, and I do not think I got a positive response. I have the meter — I backed the project via crowdfunding — but to me, it seems more style over substance. 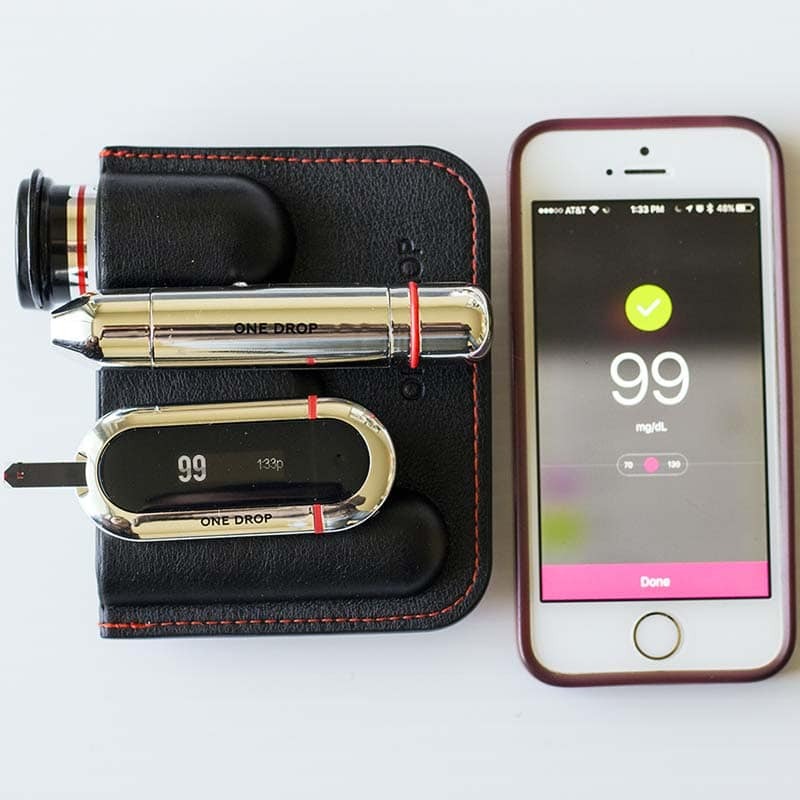 It feels like OneDrop is targeting the “diabetes luxury” market. The OneDrop kit occupies more space in my travel bag than my current kit. I suspect very few men were part of their user acceptance testing. What would be truly innovative is if the meter could pull in BG readings from other glucose meters. I think the visual format is a preference thing. As you quote that wasn’t my favorite part. It would be interesting if they could combine all info, kinda like Tidepool, however that might also make it even more confusing on top of CGM data, meals, steps etc. This is not the first Bluetooth meter on the market that small that offers an app. Also, the meter is not available in stores or thru medical plans.